Authorization and restriction of Chemicals. It became effective on 1st June 2007 and replaces a number of European Directives and Regulations with a single system. 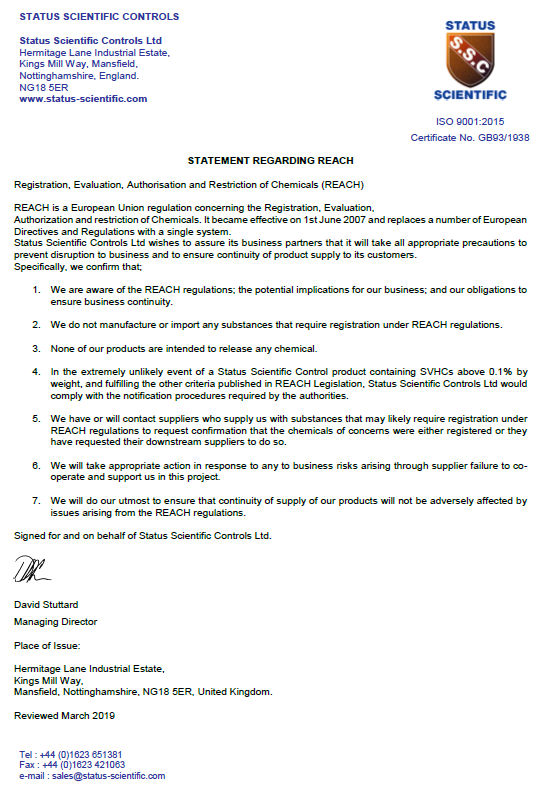 Status Scientific Controls Ltd wishes to assure its business partners that it will take all appropriate precautions to prevent disruption to business and to ensure continuity of product supply to its customers.